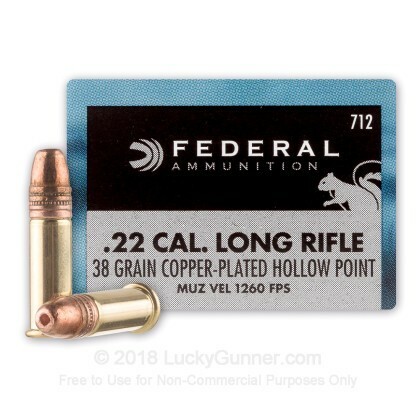 This line of 22 Long Rifle ammunition manufactured under Federal's Game Shok line is perfect for hunting small game such as squirrels and other varmints. 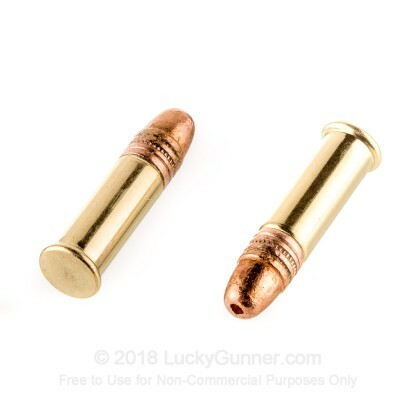 The copper plated hollow point design is intended to expand on impact creating a larger wound cavity to quickly and humanely bring down squirrel sized game. 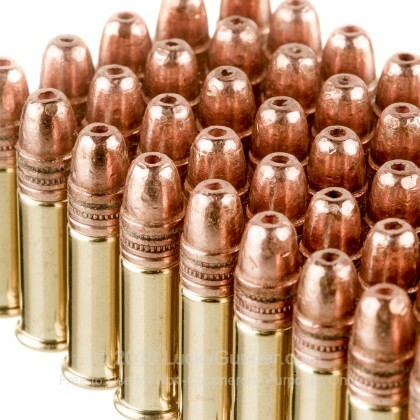 This ammunition is brass-cased, rimfire-primed, non-corrosive, and non-reloadable. Very accurate out of my CZ 452 American. All holes touching at 50 meters. Great performance on small game including foxes & jack rabbits. Very accurate out of my CZ 452 American. All holes touching at 50 meters. Great performance on small game including foxes & jack rabbits. I will not shoot any other ammo out of my CZ. Thanks for fast and great service,I can shoot some more. 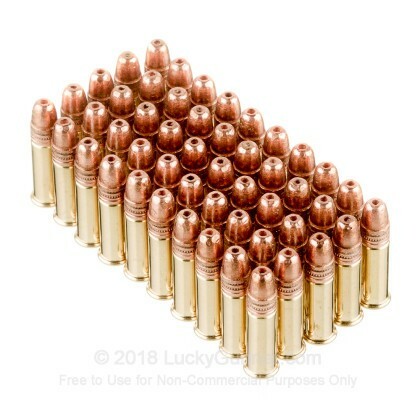 Perfect on spot ammo! Very consistent with groupings. 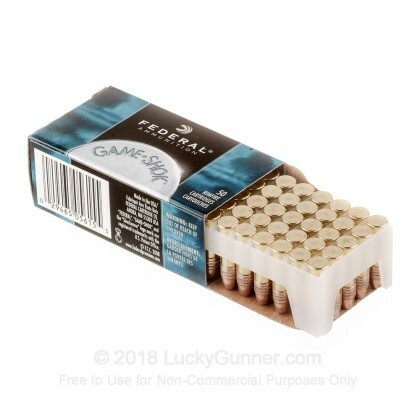 Great ammo, no problems, no FF's. I will keep buying from Lucky Gunner! As always Federal puts out a top quality product. This particular batch of .22s is being shot through a single shot Stevens Model 30 "Favorite" rifle, so every shot has to be accurate. Consistency in bullet weight, amount of powder, and overall diminsions are a large part of maintaining accuracy from shot to shot and Federal meets all the criteria. Good deal overall in price, product, and service!! 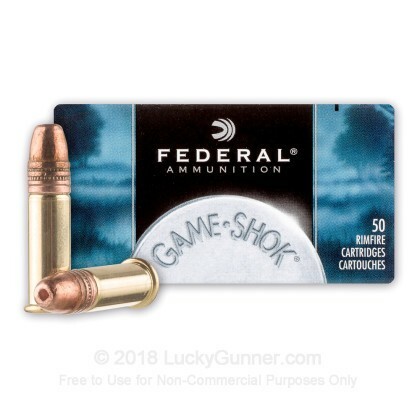 We also have this 22 LR - 38 Grain CPHP - Federal Game Shok - 50 Rounds ammo in stock in a smaller quantity.